Capcom decided to cap off Memorial Day with a new poster for Resident Evil 6. The new piece of art shows off the three pairs of heroes at the heart of the game. Resident Evil 6 features three distinct campaigns. Leon Kennedy and government agent Helena Harper's adventure through Tall Oaks is a more traditional survival horror experience. 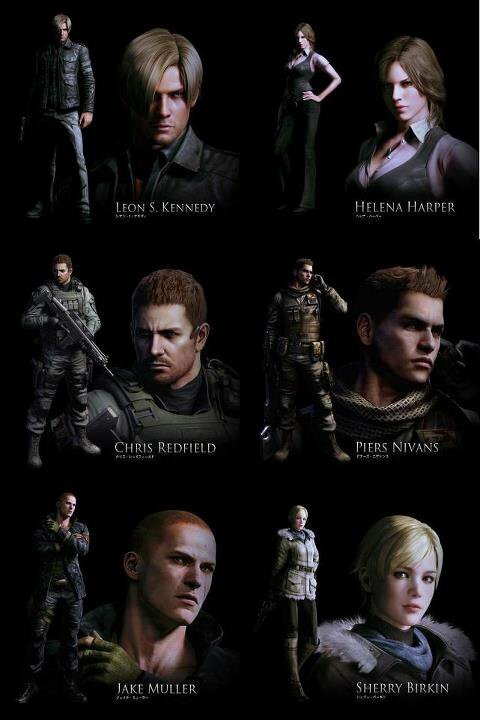 If you prefer the action of RE5, you'll be enjoy Chris Redfield and B.S.A.A. member Piers Nivans's battle through the streets of China. The third campaign, starring newcomer Jake Muller and a now-adult Sherry Birkin, focuses on melee combat - a first for the series. You can almost tell the differences in the campaigns just from the characters' appearances in this poster. Redfield's clad in full body armor and wielding an assault rifle while Leon looks like a plain clothes cop. Jake, meanwhile, doesn't even bother carrying a weapon. Capcom's really taken the "kitchen sink" approach to this game. Instead of picking one sort of gameplay model and sticking with it, they've decided to provide three in one game. It could be that this is the gaming equivalent of Neapolitan ice cream, with each gamer liking one third and being lukewarm on the rest. With any luck, though, gamers will be able to find all three campaigns enjoyable in their own way. RE6 will debut on October 2nd.